We are an official R.E.A.D. affilate group. R.E.A.D. is a program utilizing registered therapy aniimals to improve children's reading and communication skills. 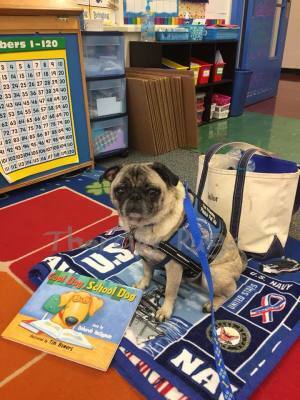 All Faithful Friends Therapy Dog teams participating in any reading events with children have undergone comprehensive training and are R.E.A.D.-registered. Faithful Friends Therapy Dogs also has a licensed R.E.A.D. instructor as a member! Research shows that children who participate in R.E.A.D. events at shcools and libraries make significant progress in reading and communication skills while also building self-esteem and confidence. that helps improve in other subjects too! If you feel that a therapy dog team would benefit the people in your organization, community, or educational event, don't hesitate to contact us! Our teams are comfortable in schools, nursing homes, libraries, hospitals, and many other venues. We are always happy to answer any questions. Check our "Contact Us" page for more details. How do my dog and I become a FFTD Team? Faithful Friends Therapy Dogs, a CT Chapter if Bright and Beautiful Therapy Dogs, INC. , is a close knit group of handlers and dogs that work together to provide the best experience to those who request our services. We also periodically offer specialized training courses that help prepare the handler and dog for the B&BTD certification test. The course consists of 12 sessions, two hours long, held once per week. We cover a broad range of skills that include working in an unfamiliar environment or situation, becoming familiarized with medical equipment that may encounter on the job, exposure to unusual noises and scents, and unusual physical or behaviors from strangers. 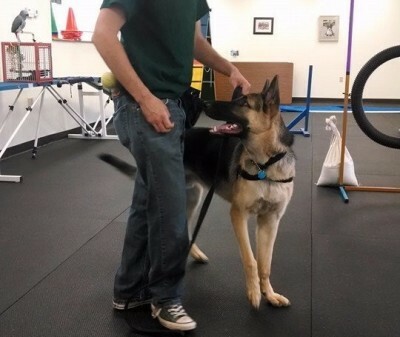 The classes focus around teamwork, recognizing signs of stress in your dog, and building up a solid foundation of trust and good training tools. We also go into proper protocol when on a visit, patient rights (HIPPA) and how to make a visit the best experience it can be for everyone. Do my dog and I need any previous training or special skills? Absolutely. Before being considered for the training course you and your dog will need to have attended and passed a formal obedience course and must have achieved the ability to perform basic commands such as "Sit", "Down", "Stay", "Come", and proper leash skills. Your dog will need to be friendly with children, adults, the elderly, and other dogs, and enjoy visiting with them. As a handler you will need to be polite, and have a friendly, compassionate personality. Are there any requirements before entering a FFTD training course? Yes. 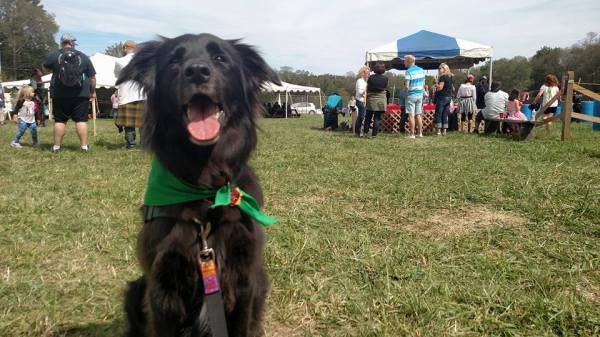 Before being accepted into the program all prospective dogs and handlers must be met in person in a public situation. This gives us a chance to evaluate how you and your dog interact with others and each other, see where your basic obedience skills are, and to answer any questions you may have.